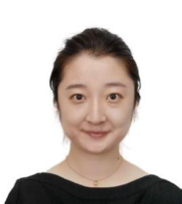 ZHOU Xiao has been a Science Assistant at the WGI TSU since September 2017, working on both the Special Report on Global Warming of 1.5°C and the main WGI report. Her main activities is to assist providing scientific and operational support to all reports. Meanwhile, ZHOU Xiao is the focal point of ESCAP/WMO Typhoon Committee. She also holds the position of deputy chief of the WMO journal Tropical Cyclone Research and Review. Her main research field is disaster management.